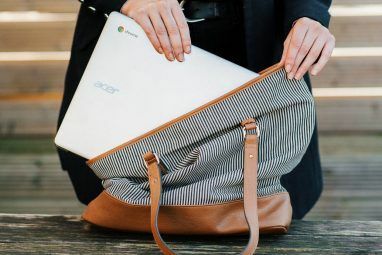 Chromebooks are quickly becoming the productivity laptop of choice for millions of people around the world. The operating system has overtaken both Windows and macOS in schools Four Awesome Ways to Use a Chromebook in the Classroom Four Awesome Ways to Use a Chromebook in the Classroom Chromebooks now account for twenty percent of all United States school purchases of mobile computers. What role can Chromebooks play in the education sector? Read More , businesses are issuing them to more and more employees, and they’re becoming an increasingly frequent sight among commuters. Sure, you can’t do heavy-duty tasks that require specialist apps. But for most people, the selection of Chromebook-specific productivity apps in the Chrome Web Store is more than sufficient. 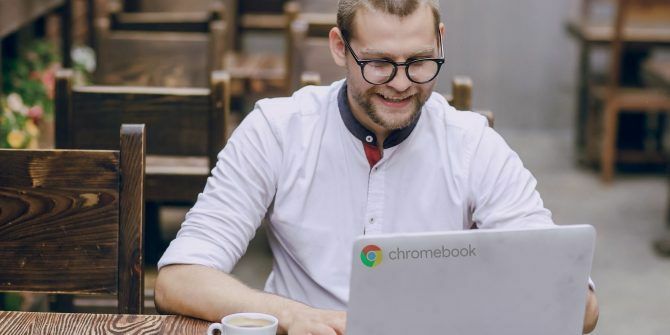 If you’ve just bought a Chromebook How to Pick and Buy the Perfect Chromebook How to Pick and Buy the Perfect Chromebook Allow us to help you pick the right Chromebook for your needs. Read More for the first time and you’re wondering which apps you should install to get started, keep reading. I’m going to introduce you to the 10 best productivity apps for your Chromebook. Chromebooks don’t have a native note-taking app. Yes, there’s Google Keep, but it’s not really designed for quick, on-the-go notes. Given ChromeOS is built around the Chrome browser, it makes sense to use an extension that lets you make notes directly within the browser itself. Papier is the best option. Once installed, it turns new tabs into a notepad. The app offers basic formatting and rich text support, and automatically saves all your notes so you’ll never lose your thoughts. As the name suggests, Gliffy Diagrams lets you create diagrams and charts How to Create Powerful Graphs & Charts in Microsoft Excel How to Create Powerful Graphs & Charts in Microsoft Excel A good graph can make the difference between getting your point across or leaving everyone dozing off. We show you how to create powerful graphs in Microsoft Excel that will engage and inform your audience. Read More with ease. The app, which works offline, includes plenty of shapes and other tools to help you make everything from flowcharts to network diagrams. It also has a snap-to-grid interface to help your charts look professional. When you’ve completed your creation, you can save it in JPEG or PNG format and export it to Google Docs, wikis, or web pages. vCita offers a suite of three apps for business people on-the-go; Invoicing, Billing, and Online Payments, CRM Contact Manager, and Appointment Booking and Scheduling. Invoicing, Billing, and Online Payments is an offline app rather than a Chrome extension. It lets you create branded invoices The 5 Best Free Invoicing Apps for Freelancers and Small Business Owners The 5 Best Free Invoicing Apps for Freelancers and Small Business Owners We rounded up the best free invoicing tools for freelancers and small business owners. Pick the one that's best for you. Read More , request payments in multiple currencies, and — if you have a Wi-Fi connection — accept payments online. You can either print or email any invoices you create, and manage all your outstanding payments through the impressively detailed dashboard. You can think of SketchPad 3 as MS Paint for Chromebooks. It lets you create and edit images and vectors in HTML 5. The basic feature set is broadly similar to MS Paint. You can overlay text, crop, resize, and use a variety of brushes and shapes, and textures. SketchPad 3 is easiest to use if you have a touchscreen Chromebook. However, as long as you have a steady hand, it’s still possible to create impressive images using nothing more than the trackpad. Lastly, the app offers a range of import and export tools. You can drag-and-drop images into the editor and then save them in several formats, including PDF and ZIP. Do you work in a research role? If so, you probably find yourself reading hundreds of documents a day, many of which you need to share with colleagues. But if you’re studying a long document, how do you bring your colleagues’ attention to the pertinent sections? Giving page and paragraph locations for every sentence they need to read is both time-consuming and impractical. Instead, why not check out Highly Highlighter? Using the app, you can highlight the vital parts of a text and instantly share them with other people. It even lets you highlight images, charts, and other non-text objects. Staying productive while traveling can be difficult if you’re doing something online. Whether you’re in an airport, train, or hotel, public Wi-Fi can be patchy 3 Dangers Of Logging On To Public Wi-Fi 3 Dangers Of Logging On To Public Wi-Fi You've heard that you shouldn't open PayPal, your bank account and possibly even your email while using public WiFi. But what are the actual risks? Read More . You never know when it might drop, potentially causing you to lose all your work. Lazarus aims to solve the problem with its form recovery tool. The app auto-saves everything you write in online forms. If the page you’re working on suffers a timeout or you lose your connection midway through a form, you can instantly reload it. It’s easy to lose track of time when you’re absorbed in something important (or when something less important distracts you). Before you know it, you’ve lost half a day of work. Voice Clock is a simple but effective solution. It announces the time every 30 minutes, helping to keep your tasks on course and fight procrastination. You can set the time intervals for announcements, decide whether you want a male or female voice to read them, and even change the language they are read in. Like most operating systems, ChromeOS does have a native way to take a screenshot How to Take the Perfect Screenshot in Windows How to Take the Perfect Screenshot in Windows The best way to take a screenshot depends on the version of Windows you're on. We show you the subtle differences, give troubleshooting tips, and reveal the best keyboard shortcuts and tools. Read More . However, also like most operating systems, it’s not exactly full of features. Awesome Screenshot App makes taking screenshots a more customizable process. It acts a central hub for all your screenshot images and lets you edit and annotate them. Furthermore, the app makes sharing screenshots easy. You can upload them to Awesome Screenshot App’s server, which in turn gives you a public URL so your friends and colleagues can access them. You can also save your snaps to the Chromebook’s local drive or directly to Google Drive. I’ve already introduced you to the Papier notetaking app, but what if typing your notes is impractical? The answer is to use an offline dictation app. You can record as many voice notes as you want, then add tags and categories to keep them all organized. The app supports 40 different spoken languages. Dictanote also has a traditional typing mode, allowing you to create a blend of text and audio notes specific to your requirements. All typed notes can be exported as PDF or DOC files. ChromeOS doesn’t have a native audio editor. If you record a lot of podcasts 5 Most Popular Podcast Formats: Which One's Right for You? 5 Most Popular Podcast Formats: Which One's Right for You? Your podcast could probably be better. Choose one of these five compelling formats and increase your number of listeners in no time. Read More or spend a lot of time working with music files, it’s a problem. At the moment, the best offline audio editor for Chromebooks is arguably Beautiful Audio Editor. It offers a lot of the same features you might expect from a desktop editor. They include the ability to change the speed of individual audio sections, alter the volume and pan, move, duplicate, split, and delete audio sections, and add lots of fancy effects. Before you rush to download the app, a word of warning. At the time of writing, it’s still in beta. The developer says it can become buggy when working with tracks of more than 45 minutes in length or 300 MB in size. How Do You Stay Productive on Your Chromebook? I’ve introduced you to 10 amazing apps that’ll help keep you productive whether you’re in the office or on-the-go. 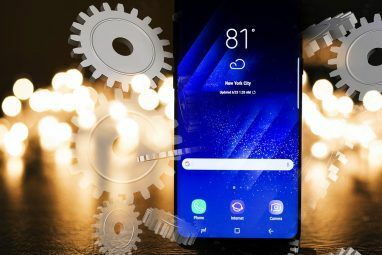 If you add these apps to the typical mainstream products like Microsoft Office and the Google suite of apps, you’re certain to send your productivity levels through the roof. Now I want to hear your input. Which are your must-have productivity apps on a Chromebook? What have I missed from my list? As always, you can leave all your opinions and suggestions in the comments section below. And, of course, don’t forget to share the article with your friends to see what they think. 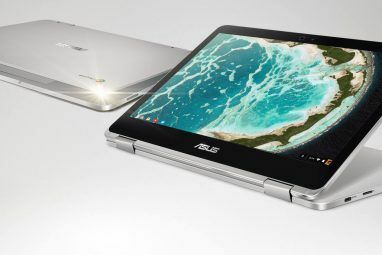 Explore more about: Chromebook, Productivity. I can understand why the title says Chromebooks and not Chromium/Chrome-based browsers. I thought for a moment about installing a few of these extensions and kept reminding myself that my local apps are faster. More importantly, I don't want to continue to bloat my browser further when I already have pretty good offline solutions. Still... surprised to see just how feature-rich some of these extensions are becoming. I don't think anyone can say... "you don't need a high-powered machine if you're **just** running a browser" these days. Browsers have definitely gotten way off track from their original mission statement (text contents and hyperlinks).